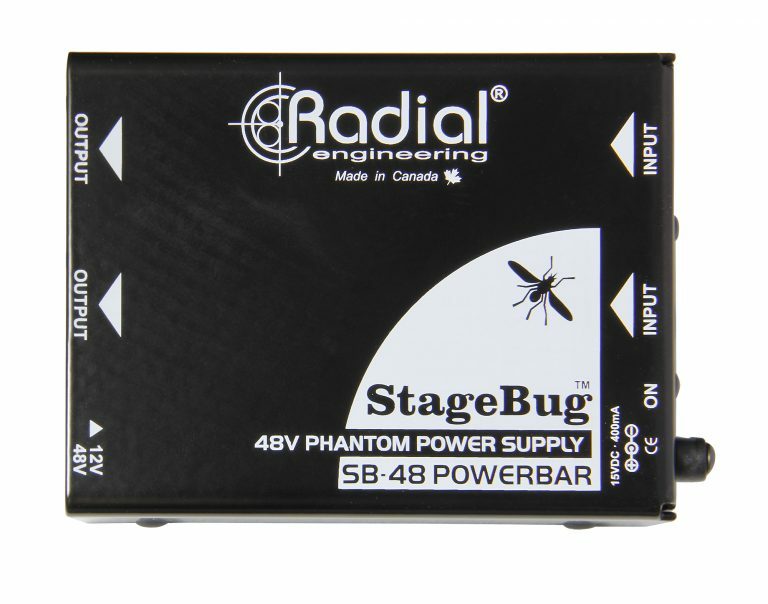 The SB-48 is a phantom power supply that can provide stable 48V power to two condenser microphones or active DI boxes at once, with balanced outputs to feed the inputs of a console or a recording interface. The SB-48 utilizes a non-radiating charge pump circuit to create a stable, ripple-free 48 volt supply for active direct boxes and condenser microphones. 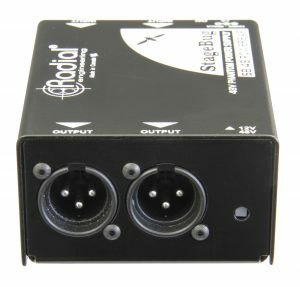 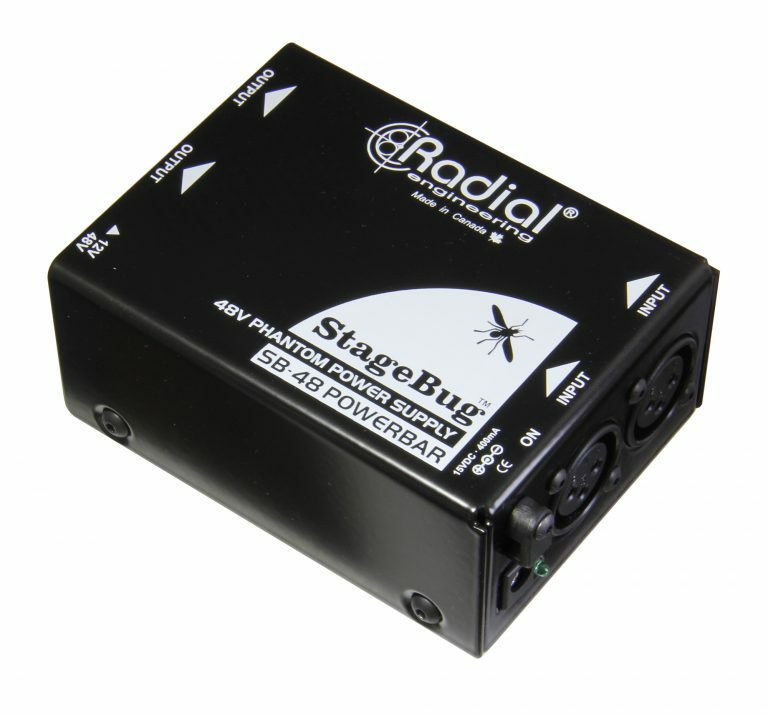 It is powered by a single 15VDC 400 mA supply (included), with XLR inputs and outputs for each channel. Simply connect your microphones or direct boxes to the XLR inputs, and feed the outputs to a set of preamps or a PA system. 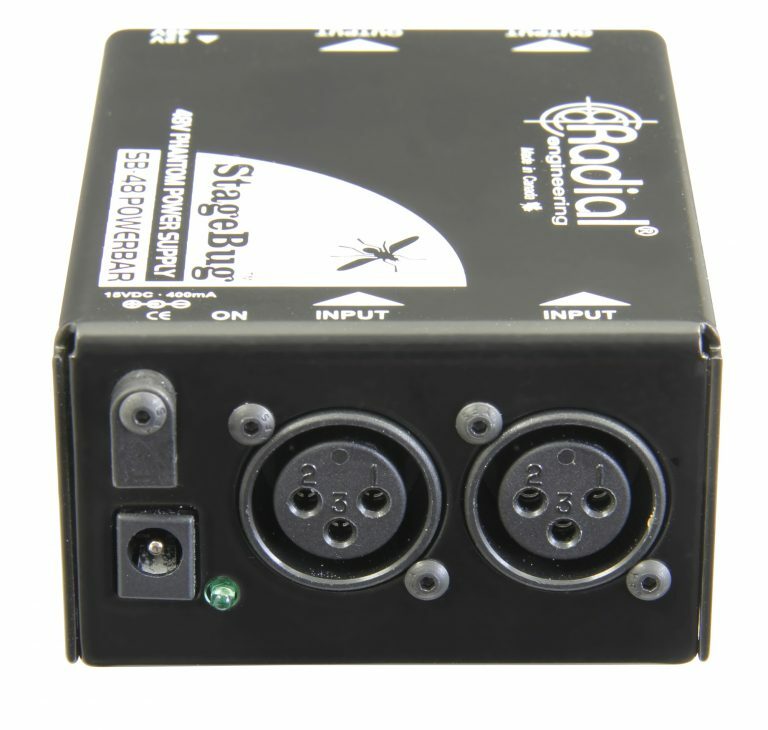 This allows you to use your favorite powered microphone or active DI on stage, even when the venue doesn’t have a reliable phantom power source.